We are pleased to welcome the brilliant, contemporary violinist Miranda Cuckson to the Colbert Roster. 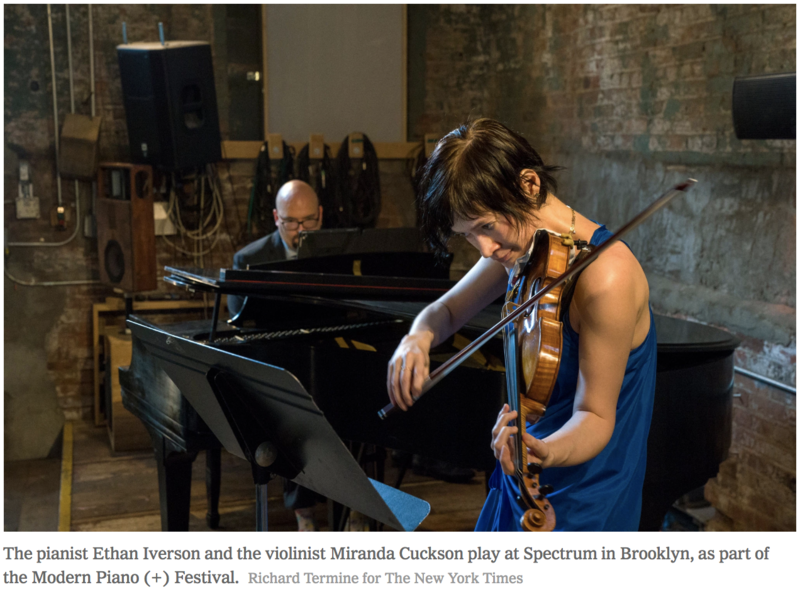 Employing a tremendous knowledge of the classical canon and a native fluency with music of the 21st century, Miranda Cuckson is a compelling advocate of a broad range of repertoire, particularly noted for her ability to illuminate new works with musicality that engages listeners of all stripes. Georg Friedrich Haas wrote (and dedicated) his new violin concerto for her, which she premiered at the Suntory Festival with Ilan Volkov and the Tokyo Symphony Orchestra in September 2017. In July she returns to the work, offering the European premiere with Sylvain Cambreling and the Staatsorchester Stuttgart, and in December with the Orchestra of the Casa da Musica in Porto with Baldur Brönnimann.